Standish Dog Agility is for pet dogs and their owners. We use positive training methods to ensure dogs are keen to work and owners enjoy themselves. Agility classes are a fun and sociable activity that provide physical and mental stimulation for both dog and owner. 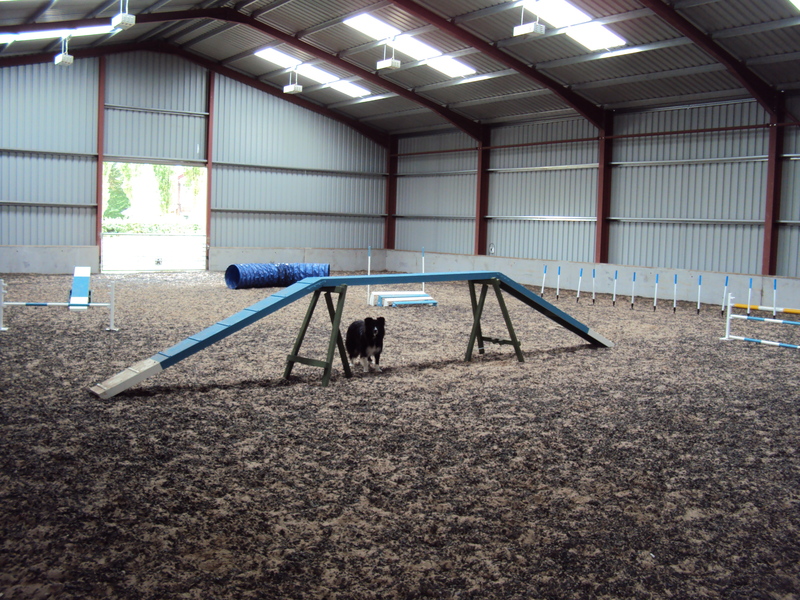 Agility classes take place on Monday and Wednesday evenings, and Friday afternoons at Thompson House Equestrian Centre, Pepper Lane, Standish, WN6 0PP. Anyone that owns a dog can come along and take part in agility. Handlers should be aged over 8 years as they are to be in control of a dog that will be working off lead and need to understand how to be responsible. There is no upper age limit for handlers! Dogs of many shapes and sizes can enjoy agility. We can adapt our equipment so that even the tiniest of Yorkshire Terriers can hop over a pole on the floor and we can take the time to make sure the largest of Labradors will grow in confidence on a narrow dog walk. If your dog has an injury or is a little out of shape we may ask you to get a vet check before allowing your dog to take part in high impact exercise. We do ask that your dog is 12 months old before taking part in agility. This is for the safety and long term health of your dog. Our training venue is an indoor equestrian arena, so we can continue training in a dry, well lit environment regardless of the season. We are based in Standish, just off junction 27 of the M6 so within easy reach of Standish, Shevington, Appley Bridge, Chorley, Coppull, Rivington, Wrightington, Bolton and all parts of Wigan. Pre-Agility Course – We currently have a waiting list for Pre-Agility. Pre-Agility is a course that lays the foundation for agility training with your dog. There are a number of exercises that work on relationship building, body awareness, focus work, targeting, balance and control. Skills learned in pre-agility are vital for good agility training and will be very useful in many other sports and disciplines that you may want to try with your dog. The methods that we use have been taught by Kim Hunt, who is a leading agility instructor and judge. To learn more see: www.kimhunt.co.uk. 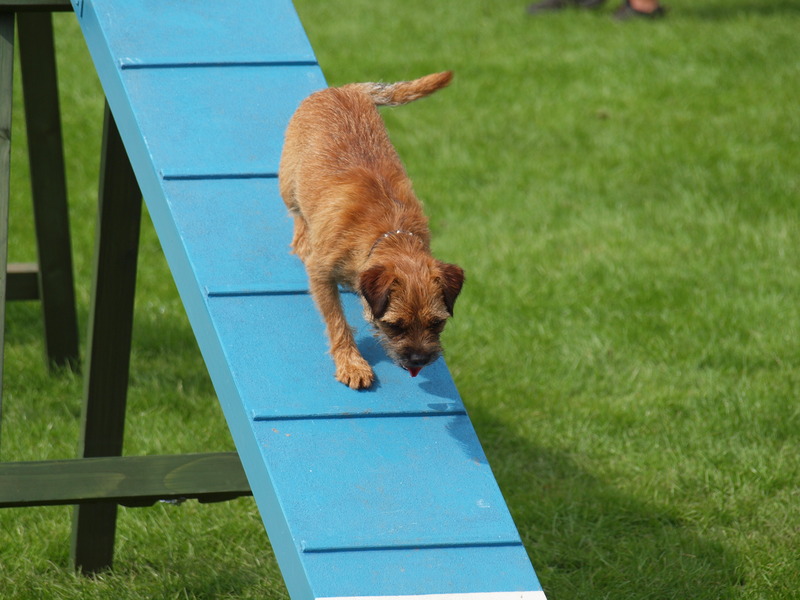 Pre-agility is an exciting course and is an absolute must for those wanting to go on to learn agility with their dog, either for competition or just for fun. This course gives you the basis you will need to come and join our agility club. 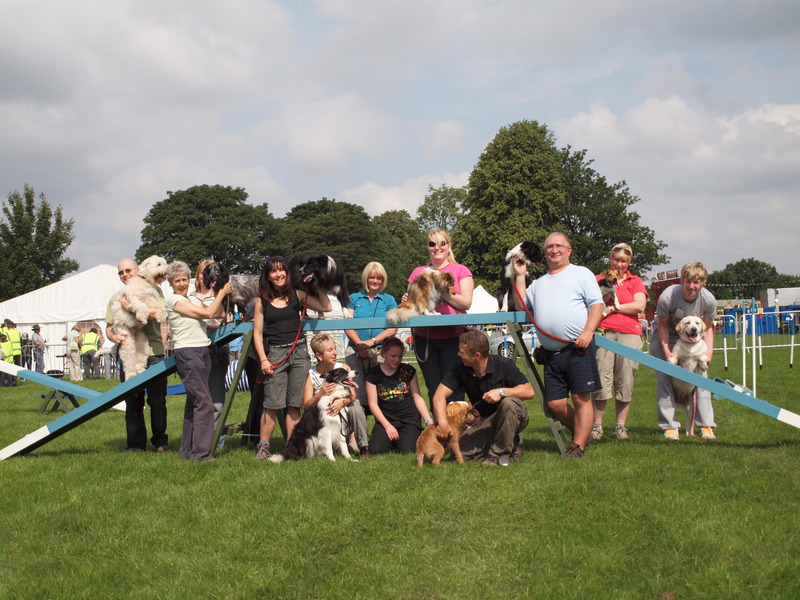 Standish Dog Agility is run in terms of 4, 6 or 8 weeks. Each weekly lesson costs £9 and each term is payable by cash or cheque in advance of the course starting. Cheques are made payable to Standish Dog Trainer and posted to 40 Copeland Drive, Standish, WN6 0XR. Payment can also be made by BACS or PayPal. Agility Club – we currently have a waiting list for agility club. Agility is not just a sport for border collies and once you have completed our pre-agility course you will be offered the opportunity to join the Standish Dog Agility Club. In agility club, we will teach you and your dog how to negotiate more complex pieces of agility equipment including tunnels, jumps, dog walks, a-frames, weaves and more. As you and your dog learn, the sequences and courses that are designed for you will become more exciting, challenging and faster! Training agility requires time and patience, but remember having taken part in the sport of agility many pet owners find their relationship with their dog benefits in a variety of ways. Agility is predominantly an off lead sport, so creates better control of the dog by the handler. Communication skills of the handler get better. Co-ordination and confidence of both canine and human are improved, and since agility requires team work, the dog / hander relationship will go from strength to strength. 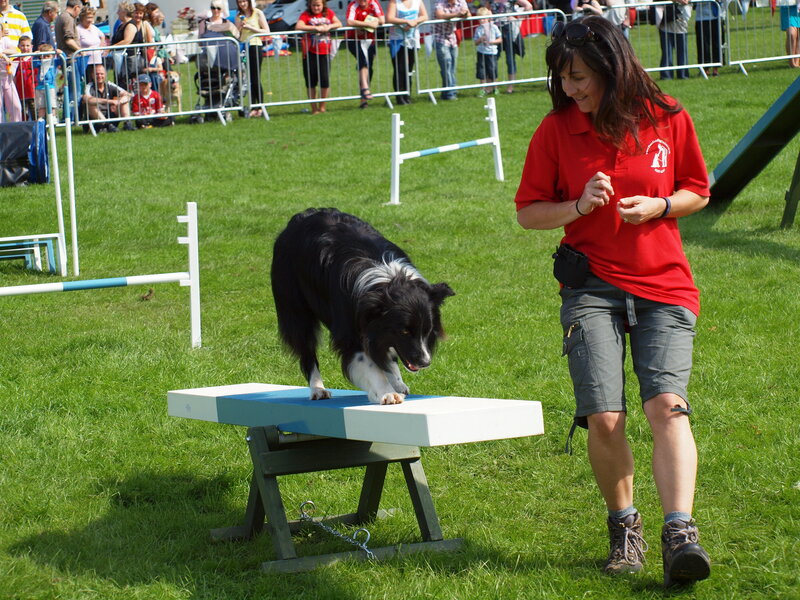 Most of all, agility is great fun for you and your dog, so come along and join us! Due to the high energy nature of this sport we do not invite dogs that are fearful, aggressive or reactive to other dogs to join in.Your dog must have a reliable recall to join Standish Dog Agility, and we will teach you everything else! Further information about terms, payment, holidays and illness are in our terms & conditions, which are given to all customers when they register with Standish Dog Agility. To be added to the agility waiting list please contact Jo.